Playful video from Mali – WATCH! In addition to beautiful photos, we have a fun upbeat video from The Association Malienne pour la Promotion de la Jeune Fille et de la Femme (AMPJF) of Bamako, Mali, Africa. It is definitely worth watching a range of ages play soccer. In case you missed yesterday’s post,The President of AMPJF, Madame Souadou DIABATE, wrote “we celebrated PLAY IT FORWARD and the Women’s World Cup June 30, 2015 at the Football for Hope center Baguinéda. 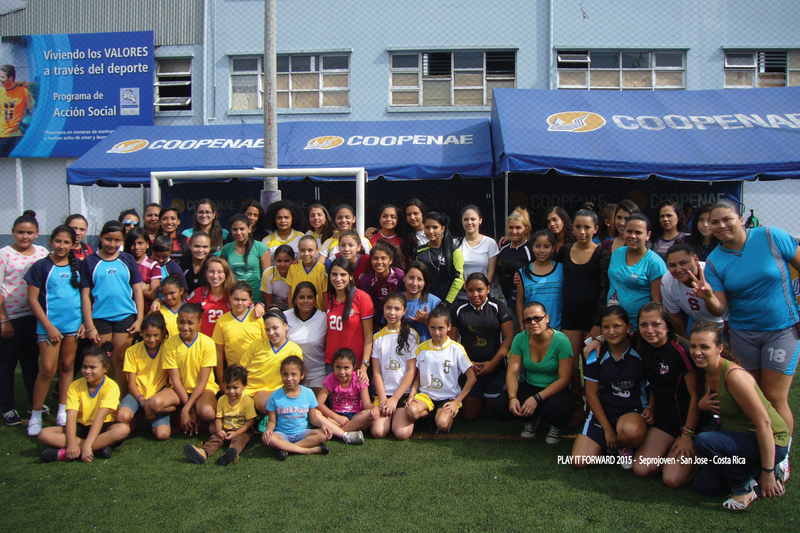 We hosted 3 football games at three levels: children 4 to 5 years, 6 – 12 years and older girls. You definitely will see the 4 years playing right away! They are swarming the ball. At one point there is a little person just standing there as the kids swarm around. It something special to watch.